Number of Flower Petals Unsure Flowers without petals or not apparent Petals 3 or 6 Petals 4 Petals 5 More than 6 - Composite Note: There are some flowers that do not actually have petals. However, some of these have other colored flower parts, such as tepals which look like petals. Of the 400+ genera I've reviewed so far, there are very few that I have marked as having no petals. Do not hesitate to leave this trait marked as UNSURE if your not certain. Hint: A pea-like flower is generally classified as having 5 petals. Leaf Margins Unsure - Not Observed Entire (smooth) Dentate, Serrate, Crenate, etc. 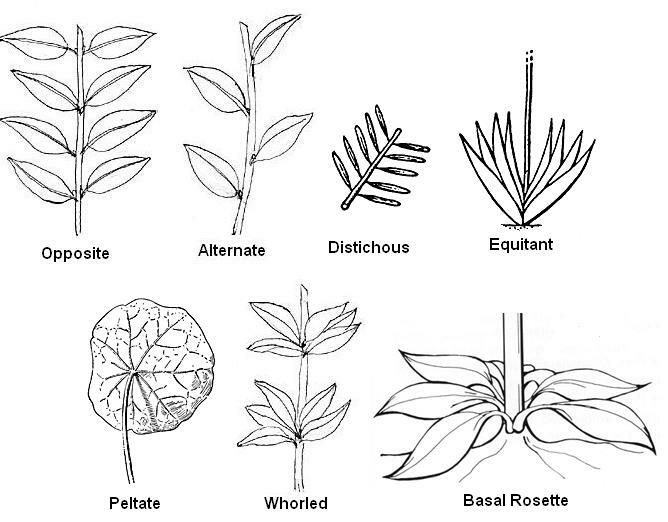 Lobed, Cleft, Divided Most serious references use far more catagories of leaf margin types. I have attempted to simplify this set of traits. Inflorescence Unsure - Not Observed Flowers Single Inflorescence Not all genera have been evaluated for these traits. Flower Color Skip color (for now) White Petals Yellow Petals Orange Petals Pink - Red Petals Violet - Blue Petals Green Petals Brown Petals Many references suggest that flower color is not a good trait to use for identification of wildflowers -- in part because many species have wide variations in flower petal color and in part because we might not all interpret what we see the same. I have include color in this system because for the non-scientific among us, it is one of the most obvious traits. Not all genera have been evaluated for these traits. So while selecting one or more of them will narrow your search, doing so MIGHT also eliminate the genus for which you are looking. Most images are courtesy of the Florida Center for Instructional Technology.